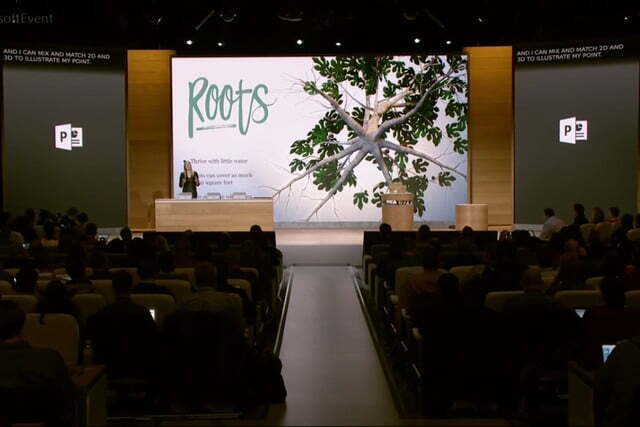 Microsoft has a major Windows 10 update scheduled for early 2017, the company revealed at an announcement in New York City on Wednesday. 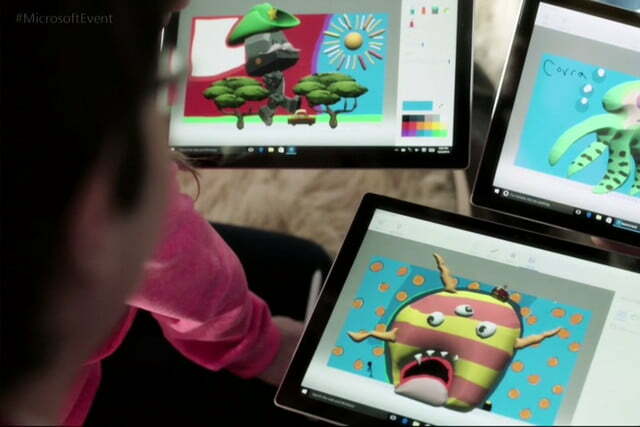 The Creators Update, as Microsoft has dubbed it, is set to be kitted out with all-new functionality intended to allow users to exercise their creativity, with a particular focus on 3D. 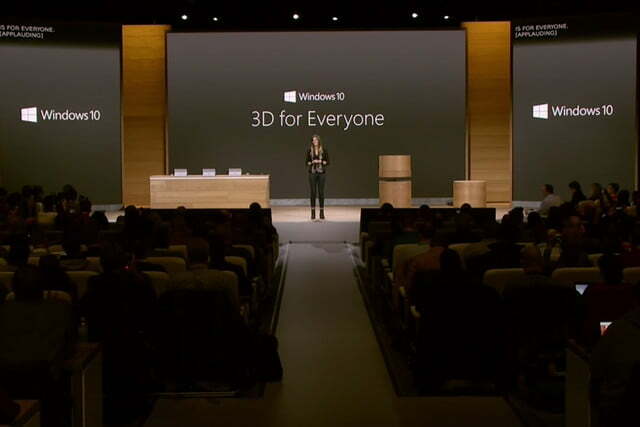 The focus on 3D was demonstrated on stage by Microsoft’s Megan Saunders. 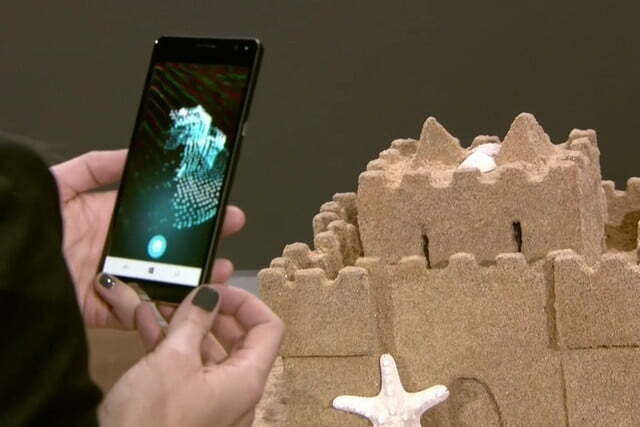 Saunders used her smartphone to scan a sandcastle, producing a 3D model — she used an HP Elite X3 to demonstrate, but noted that other smartphones are expected to support this functionality. 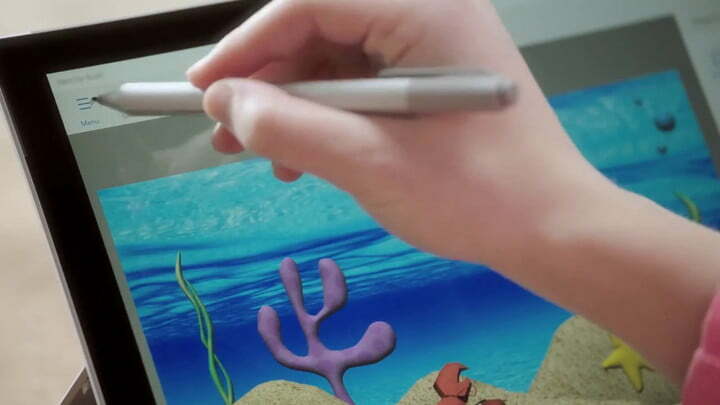 Next, the focus shifted to the “phenomenally popular” Microsoft Paint, which will also receive a major upgrade with the Creators Update. 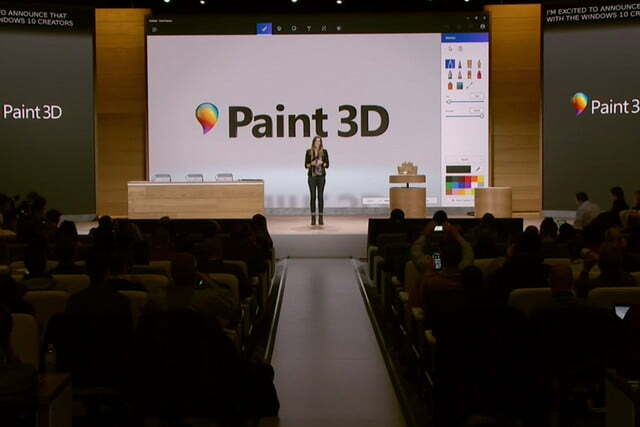 Microsoft is rebranding the software as Paint 3D and adding some functionality that goes far beyond the scope of previous versions. 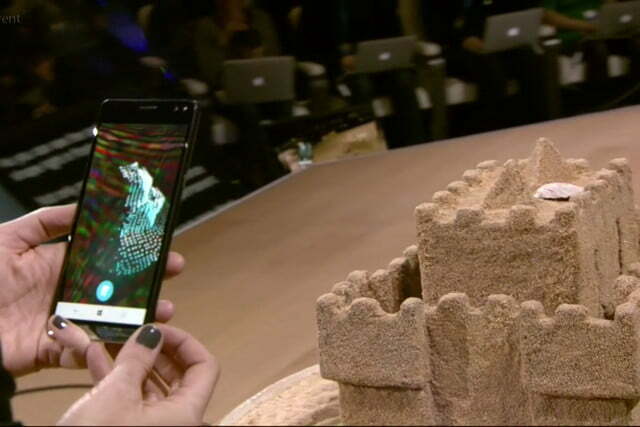 On stage, we saw the 3D sandcastle that had previously been scanned placed among still images. A tree model — made in Minecraft, no less — was then downloaded from an online community library, and introduced to the existing composition. 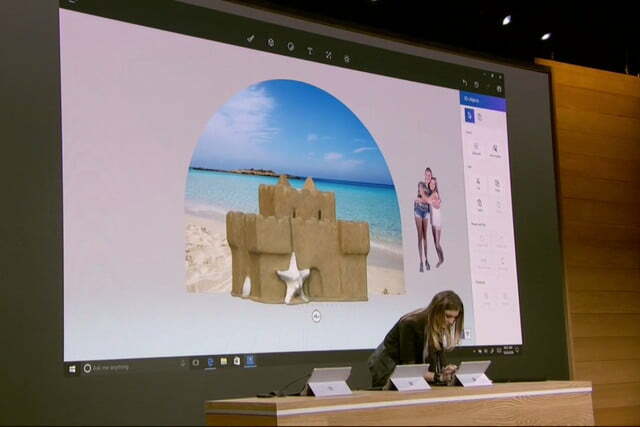 Microsoft has also partnered with SketchUp developer Trimble to flesh out this collection of objects. 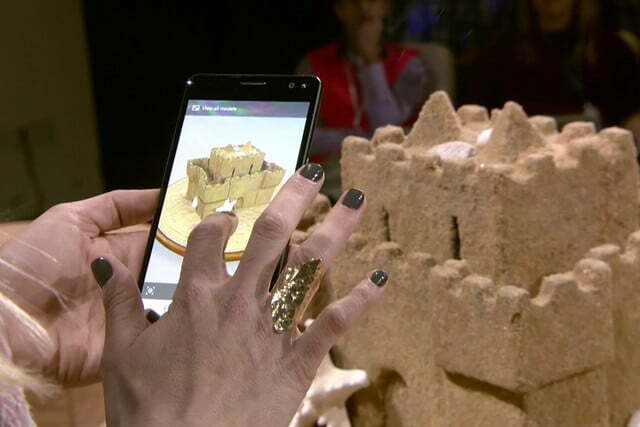 Microsoft put an emphasis on making the new tools accessible and straightforward to use. Positioning 3D objects looks easy to accomplish, and a Doodle brush allows users to create 3D models simply by drawing out the shape with their mouse. Meanwhile, the new Magic Selection tool is able to crop out the background from a photo with little to no effort on the user’s part, leaving just the object in the foreground. We also saw the online community library of 3D models used to source content for a PowerPoint presentation. 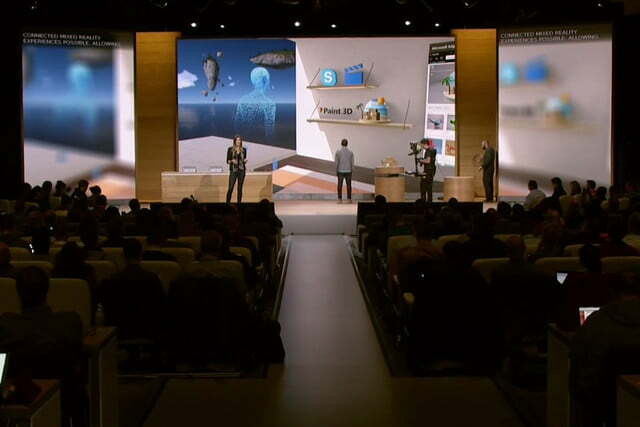 The same object was present throughout the whole presentation, and the software produced slick transitions between each individual slide to capture various angles. Integrating 3D objects into a PowerPoint presentation and animating them between slides looks easy, and produces some very professional-looking results. 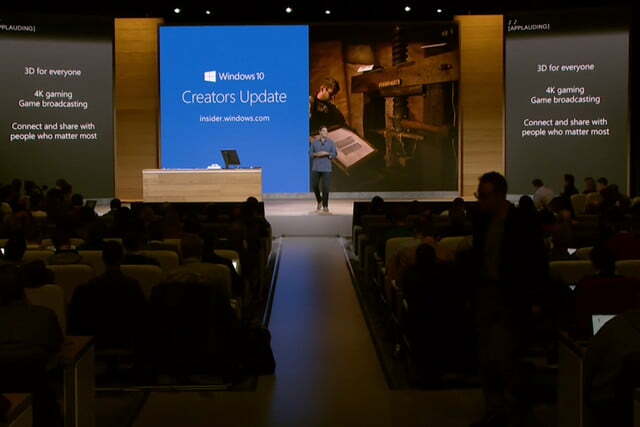 Microsoft will launch the Creators Update as a free upgrade for existing Windows 10 users in spring 2017.